Rachel Moore teaches a workshop on behalf of Strategic Adventures to conference attendees who realize the benefit of livestreaming for their marketing and content efforts. Participants will complete the workshop knowing how to go live using Facebook and the how the primary livestreaming social apps – Facebook, Periscope, Instagram, and Twitter – offer unique reach for their businesses. Learn more about ACCT at acctconference.com. If you’ve checked your Facebook feed, or really any news related to business, economy, or marketing, there’s a massive buzz around the recent announcement by Mark Zuckerberg that the Facebook algorithm is changing. Nothing new, right? MEDIA AND LIVESTREAM REPORTER Web Summit has grown to become the “largest technology conference in the world.” Rachel has media access to the conference and will be a livestream and social media conduit to the latest releases, updates, and topics presented at this worldwide venue. Have your brand represented in Rachel’s live and social updates! We are accepting sponsor applications for Rachel’s media access at Web Summit 2017; you could see and hear your brand broadcast from Lisbon to a worldwide audience! 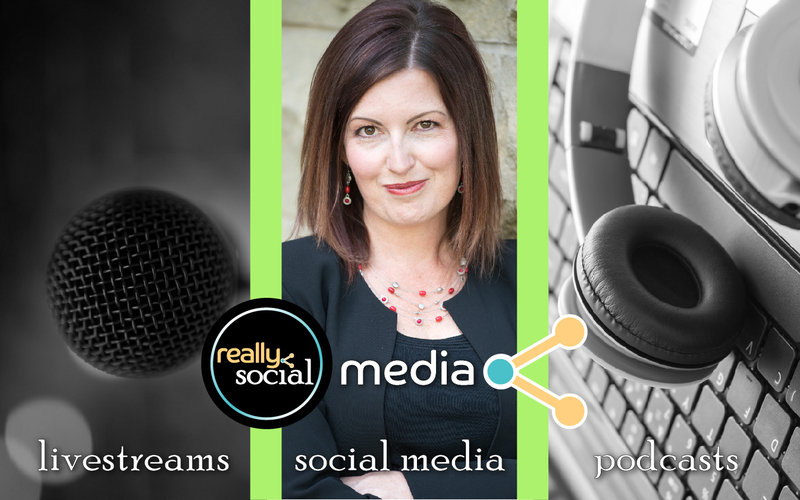 In this four hour course, learn how to take your business into dynamic video and audio realms through livestreaming and podcasting. Speaker: “Adopting Dark Social into Your Marketing Strategy” Market Simple gathers a diverse group of speakers and topics to cover beginner and advanced arenas of marketing. Going beyond the 101 level, Rachel Moore will cover the landscape of Dark Social, the private messaging side of social interactions which is outpacing traffic generated in public feeds. Attendees will learn how to set up traffic tracking for their content being shared over dark social, which apps to use and watch for, and how to create and engage with uber-targeted audiences through private messaging. To save $100 off your ticket to Market Simple, use the code speakersspecial when you register. We’re taking it all off! Makeup, that is… Once in a while, we can remind ourselves that life is normal and chatter is better when we leave the makeup at home. A fellow brave soul, Anh Nguyen, will join me in this makeupless discussion about all things womanly!